According to eMarketer, 46% of of travel brands advertised on social media in 2016 since they feel social media ads are effective at reaching the target audience. 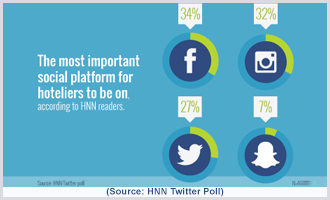 Facebook remains the big fish of social media marketing, providing a mature platform for hoteliers to connect with the relevant audience. Facebook has significantly changed with time, evolving itself to become an ideal channel for business needs. The platform comes features such as check-ins, reviews and call-to-action buttons that link directly to booking engines simplifying the complete travel shopping experience. Infact powerful hotel management system like Hotelogix allow your followers to book their stay on the hotel’s facebook page itself. As a hotelier, you are making the booking process easier for your guests, while tapping into the database of your loyal fans on Facebook. This a win-win for everyone, as it saves time for the guest and let’s the hotelier win commission free bookings. 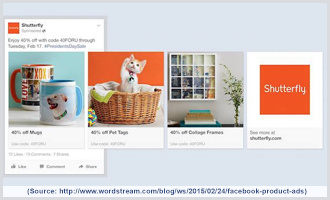 Facebook ads are extremely popular among hoteliers, with feature upgrades being released every few months, aimed to reach the right audience without compromising their overall feed experience. 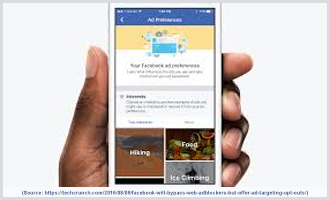 For instance, Facebook advertisers can distribute their ads through the Facebook Audience Network or increase viewership through Facebook’s 360-degree travel videos. The updated ad preferences and dynamic ads since last year are more such interesting updates from the Facebook Advertising portfolio. Users now have better control over the kind of ads they want to view. Of course, there’s the smartphone that is central to everything. With hotel softwares evolving to the point where hotel’s front desks are becoming redundant, how can your hotel’s marketing strategy be planned out of a mere desktop? Facebook Head of Travel, Christine Warner puts it very aptly – hotels are definitely missing out if they aren’t paying enough attention to mobiles. The recently rolled out feature ‘City Guides’ that help travellers book hotels, restaurants, tours and plan their complete vacation with just a few taps on the App shows Facebook is serious about providing the most genuine and authentic travel experience to its users. -The guest experience begins much before the stay. Every hotel brand has the opportunity to talk to guests in a personalized manner made easier through mobiles, on WhatsApp or Facebook messengers. -An average traveler goes over 56 travel-related touch points and this possible with only mobile devices. That means including mobile in your marketing strategy is essential. -Love of sharing when you travel is powerful. Not only facebook, but channels like instagram, snapchat, etc., can help create wonderful travel stories. But, sharing them while on the go is only possible with mobile devices. We must not forget that the popularity of Facebook is based on its capability to create stories that are powerful and impactful. It’s the oldest and a really great platform for building long standing engagement with guests. Hotels often treat Facebook as a mere social media platform. Its high time you start viewing it as an important tool in your hotel’s marketing arsenal. Afterall, Facebook is a mobile content discovery platform, where 1.2M people come together to discover new brand stories everyday. Whether yours is a 30 or 300 room property, Facebook integrated with a powerful cloud hotel management software can unlock new opportunities for your hotel. This article is sourced from Hotel Speak.